COMSATS Internet Services Review 2019: Is COMSATS Internet Services a Good Hosting? Established in 1996, web hosting provider COMSATS Internet Services prides itself in providing a wide range of internet services – including shared web hosting, virtual servers, colocation services, and dedicated servers – to large companies in Pakistan and beyond. COMSATS Internet Services was founded in Pakistan in 1996. This vendor provides a variety of hosting solutions – including shared web hosting, VPS hosting, colocation services, and dedicated servers – to its customers in Pakistan, Canada, Italy, Hong Kong, India, and around the world. Their website can be switched between English and Urdu languages. Besides offering web hosting services, COMSATS also provides ancillary internet services such as wireless broadband, on-demand broadband, website design and development, video conferencing, and search engine optimization. The COMSATS website provides little additional information about their web hosting features, and customers interested specifically in VPS solutions will need to contact the company to find out more. 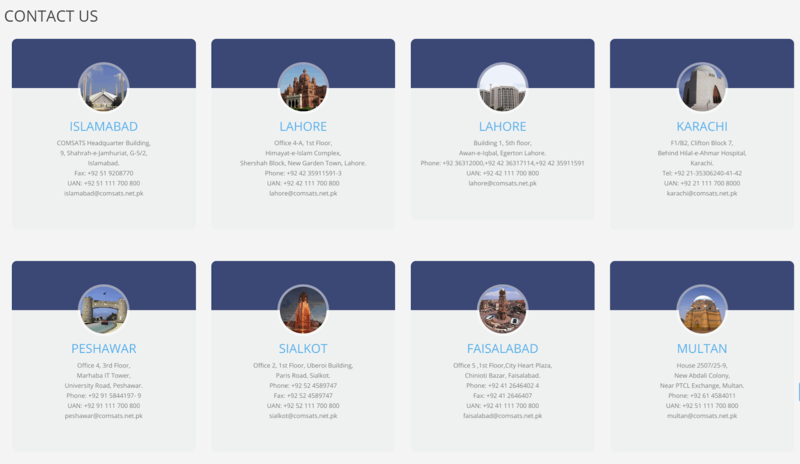 COMSATS’ servers are housed in modern data centers situated in several locations in Pakistan including Islamabad, Lahore, and Karachi. Their L-Root servers allow their clients to experience high internet speeds and traffic dissemination, which reduces website response times and provides scalability and flexibility in the event of an exponential increase in web traffic. COMSATS’ shared hosting solutions for both Linux and Windows operating systems are very cheap, but from the limited information available it’s hard to judge exactly what you get for your money. Hosting prices are listed in Pakistani rupees on annual (and multiyear) billing terms. While there is no money-back guarantee, the vendor promises that the hosting solutions they offer will help clients reduce their hosting expenses by utilizing the latest technologies and minimizing website complexities that increase costs. You can contact the COMSATS support team only via the telephone numbers and email addresses displayed on their website. There is apparently no live chat, no ticket system, no knowledge base, and no FAQs section. The promising-looking link to their “Technical Assistance Center” simply leads to a list of locations where you can get help. COMSATS offers much more than merely website hosting solutions, which could be a blessing for big businesses but a curse for smaller businesses that would prefer a narrower focus on beginners’ website hosting. Wondering how COMSATS Internet Services stacks up against other Web Hosting companies? Enter any other Web Hosting company and we will give you a side-by-side comparison.